Tongue Twister! Say this fast 3 times: Upper roller, lower roller. 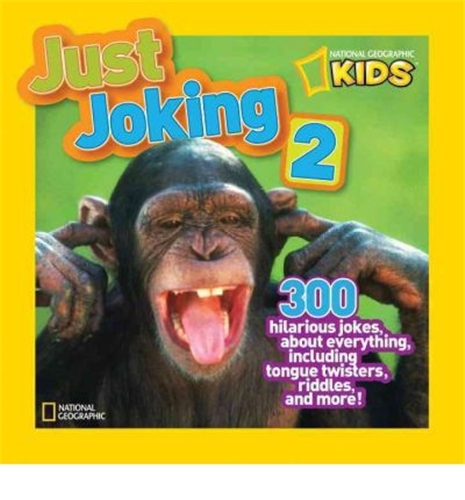 Packed with the silly jokes that kids love, including knock-knocks, tongue twisters, riddles, traditional question and answer jokes, and more, Just Joking 2 will be presented in National Geographic Kids' colorful, photo-driven style. Laughing animals, funny people, and other colorful photos are paired with each joke, adding an extra laugh on each page. National Geographic Kids' signature square trim size and candy-colored palette make this fun-filled book perfect for tossing into a backpack to share with friends at school or camp.